Shake citrus vodka, cranberry juice, cointreau, lime juice, and simple syrup with ice in a Cocktail Shaker. Strain into a Martini Glass. 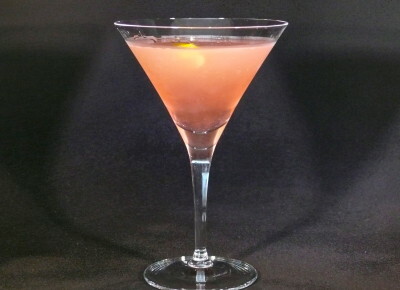 The Cosmo should be a pretty, dusky-pink colored cocktail. It’s the beautiful look and a great name that has made this cocktail famous. Created on Miami Beach in the 1980’s by Cheryl Cook, this drink most probably would not have been so popular if it was named for what it really is: a Cranberry Orange Martini. Delightful, refreshing, and (someday) a classic. 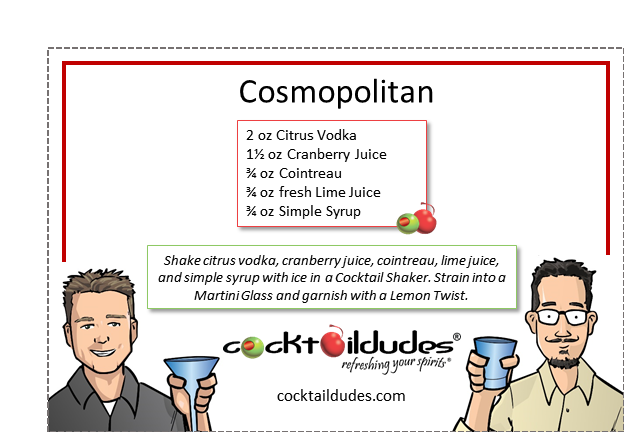 If you like the Cosmo, be sure to check out our other versions of this delicious cocktail. Cheers!